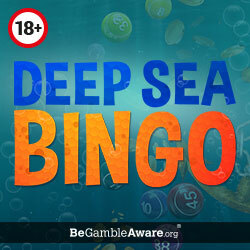 Deep Sea Bingo Review - £5 No Deposit Bonus upon Registration! With a colourful aquatic theme of fish, octopus and coral, Deep Sea Bingo launched in 2016 on the Dragonfish platform. This state of the art site is teeming with the hottest games, so why not join Place a Bet Online in the shallows as we tell you more about their bonuses. If you’re looking for a raft of games, then this is definitely the place for you. Not only can you enjoy 75 ball and 90 ball but they have featured video slots such as Fluffy Too and Starburst. Many of these games are available on mobile and tablet devices, as well as the usual desktop. If you haven’t tried gaming on the go then this is the perfect opportunity, because even though the screen is smaller the quality is just as good! *1st time depositors only. 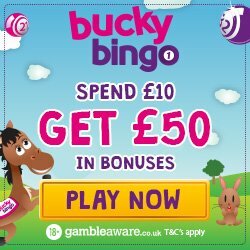 Min Deposit £10.Max bingo bonus £50. The excitement begins from the moment you register with Deep Sea Bingo, because you’ll receive a deposit bonus. The credit is instantly added to your account and means you can have a go on a few games to see if you like the site. 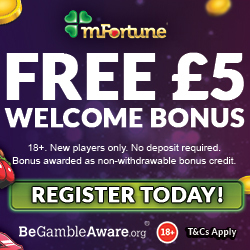 Your 1st deposit brings you a 100% cash match bonus on amounts between £5 and £50. So if you were to add the maximum, you’d receive an additional £50 to play with. When the week gets a little boring, head over to the Deep Sea Bingo promotions tab because we know you’ll have a whale of a time. There’s something on most days and you never know what jackpots you could win. 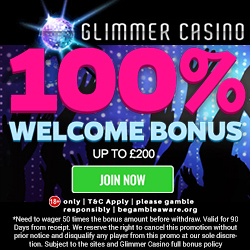 Games include the Weekender, Spin-Tastic, the Big £10,000 and Sure Win. You join the Deep Sea Bingo loyalty scheme when you make your first deposit. There are four levels (Bingo Rookie, Bingo Pro, Bingo Master and Bingo Champ) each offering better bonuses and rewards such as cash back. To move through the levels you collect jewels, with 12 jewels being awarded for every £1 deposited. Deep Sea Bingo treasure their loyal players, so they have a VIP Club which consists of five levels (blue, bronze, silver, gold and platinum) and offers incredible exclusive extras. To move through the levels you simply play and who knows when you can enjoy rewards such as extra spins, bonus cash and gadgets. Many of us game online to meet new people and what better way to make roomies, then through chat games. There’s an experienced chat host who will help guide you through the games and keep the banter friendly. To contact a representative from Deep Sea Bingo, you can email or telephone 24/7. We always recommend checking out their FAQ section, because you never know if the answer can be sought faster. They accept the usual banking methods including credit and debit cards, Entropay, Paypal, Paysafe Card and Neteller. If you’re a pay by phone bill fan, then check out Neteller because they offer Boku; although there is a small transaction fee. So if you fancy diving into some top quality gaming, then head over to Deep Sea Bingo and enjoy.